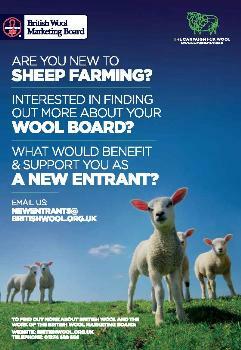 New entrants to sheep farming are being encouraged to make contact with the British Wool Marketing Board (BWMB). BWMB is aware of the challenges, both in terms of resources and finances facing the current generation of new entrants and wants to do all it can to help them maximise the value of their wool, explained BWMB Producer Communications Manager Gareth Jones. ‘’New entrants are the future of our industry and the BWMB is keen to encourage them wherever possible," he said.? BWMB are encouraging new entrants to contact them to ensure their thoughts are heard. "We are actively looking into different ideas on how we could support any potential new entrants to the industry, so we need to ensure we hear from as many new entrants as possible this season. Like existing producers, new entrants to sheep farming have much to gain by marketing their wool through the BWMB’s competitive auction system which helps them maximise the true value of their wool." 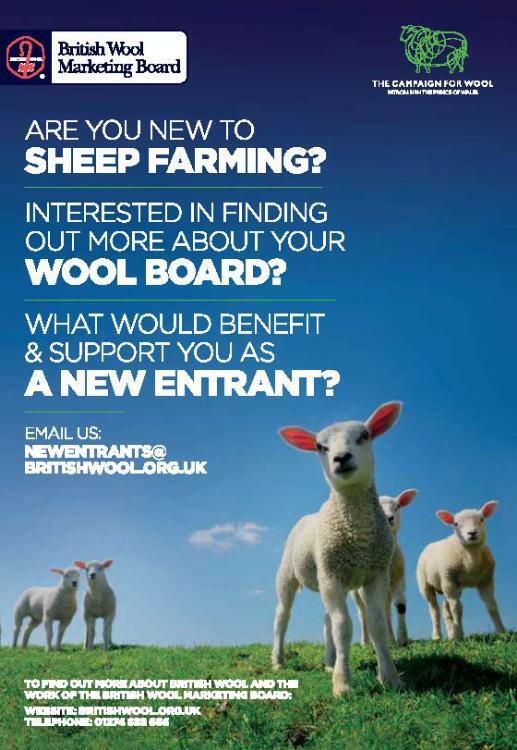 For any new entrants, a specific email address ?newentrants@britishwool.org.uk has been set up for producers to contact the BWMB. "Our intention is to engage with potential ‘young’ producers and discuss ideas on what would benefit and support them. We’ll also discuss any potential ideas with stakeholder groups” added Mr Jones. Clubs wishing to invite the BWMB along to an evening session to talk about wool should contact laurenboulton@britishwool.org.uk. Cooking doesn’t get tougher than this for more than 100 Young Farmers whose culinary efforts will be judged by former Masterchef finalist Ben Axford at the Malvern Autumn Show this weekend. 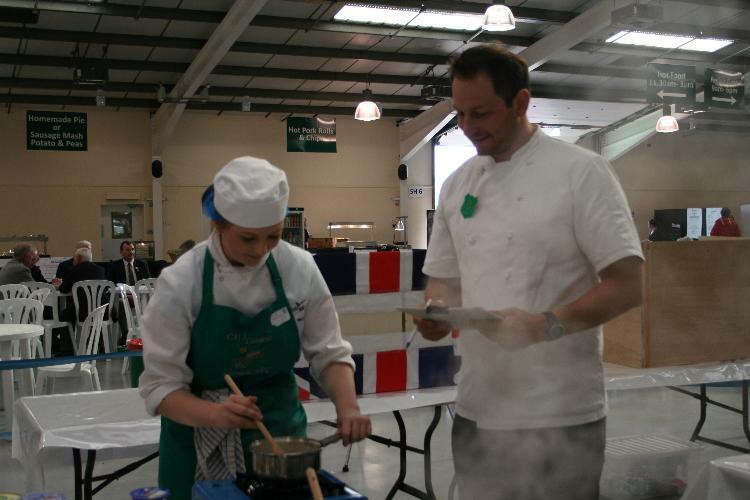 The cookery challenge, which is hosted on Saturday 28 September, is an annual competition for members of NFYFC and this year’s theme is Best of British. Competitors from across England and Wales will represent their home counties by producing the themed four course meal using locally sourced ingredients. This is the third year Masterchef finalist Ben [pictured] has judged the competition alongside two other food specialists. Ben has cooked at 10 Downing Street and for eight chefs at The Savoy, as well as writing for the BBC Good Food magazine. Ben said: “This year I’ll be looking forward to seeing what leaps and bounds the teams have made in terms of menu concepts, cooking skills and presentation. Hopefully they’ll be learning each year from the feedback their predecessors have received. 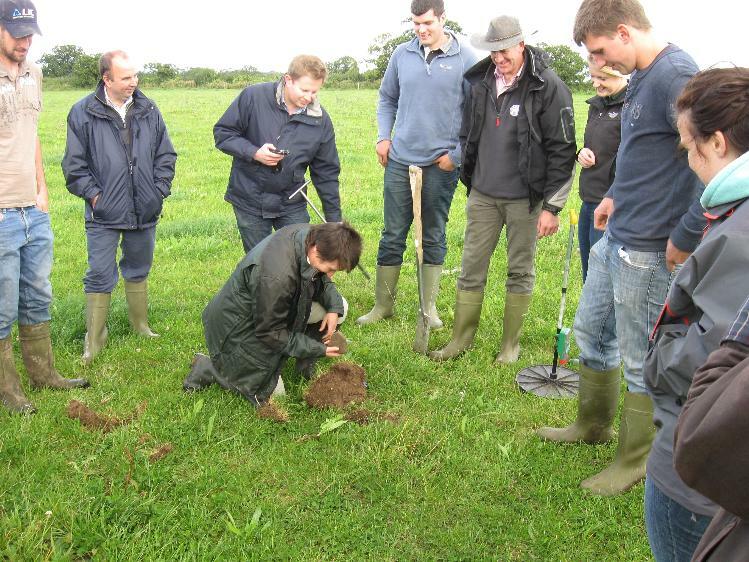 YFC members were learning from the experts this week at a brand new training day in grassland management run by NFYFC and the British Grasslands Society (BGS). Grass Farming for the Future is a new initiative, supported by Defra, which aims to teach Young Farmers how to make the most of a cheap and nutritious livestock feed. Members visited the farm of Shropshire farmer Tim Downes and learnt about grassland and soil management before taking a tour around his dairy farm. As well as the training day, members can also take part in a competition to win a scholarship to a grasslands conference, thanks to BGS. Teams of two will need to complete a report on how they would turn around the fortunes of a struggling dairy farm. Bookings are coming in fast for the last ever NFYFC driving course for members to learn how to control their vehicles in a skid situation and get expert training on rural roads. 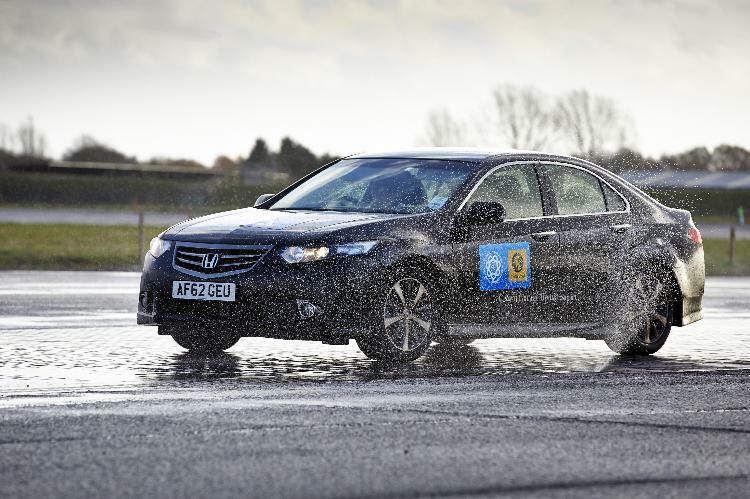 The Drive Doctors course, which has been heavily subsidised by NFU Mutual as part of its support of the Drive it Home campaign, only costs £10 for members and is being held at Finmere Aerodrome in Milton Keynes on Sunday 13 October. So far around 80 members have taken part in these specialist driving courses that have been held in Kenilworth and Honiton and feedback has shown that 95% of participants said the course had made them think differently about the way they drive. In the same survey, 95% of participants also said they felt more confident about knowing what to do if they were involved in a skid situation. Tom Evans took part in the course at the Kenilworth Prodrive centre in June and was surprised by his experience on the skid pan. “I did just over a 180 degree turn. It’s quite a shock when you first do it and I didn’t know how to react. And that was in a controlled situation with someone – not on my own at night. The driver explained how to control the car and that was really good because if i;d done that on the road I wouldn’t have know what to do," said Tom. The course runs in two sessions (morning and afternoon) with a total of 36 spaces available at £10. Members are already booking on the course and places are being given on a first come, first served basis. Please book by 4th October to secure a place. Contact Christina Evans or call 02476 857227. For more information, visit our Drive Doctors page and the campaign area of the site. Watch this video to see members experiencing the course in Kenilworth. 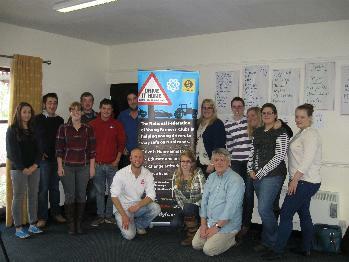 Young farmers from across the East Midlands attended a Brake 2young2die road safety session at Newark Showground at the weekend as part of the Drive it Home campaign. 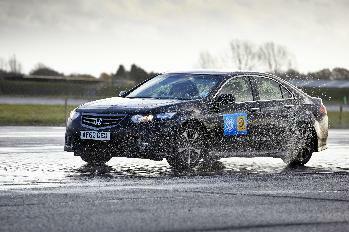 The course was particularly important for members attending from Lincolnshire, which is one of the most dangerous regions for young rural drivers. A recent study, produced as part of the campaign, highlighted that in Lincolnshire there is an average of 396 young drivers from rural areas who are involved in injury collisions each year – 34% above the national average. "I thought the course was really good - there was loads of information and facts to take away to other members. I feel as though I would be able to run my own road safety sessions and I'm actually booked to deliver one to my Club in January." The course is part of NFYFC’s aim to create a team of Drive it Home champions throughout the Federation’s 46 counties in England and Wales. After the course, members are encouraged to go back to their clubs and champion a road safety event. The sessions are free thanks to funding from NFU Mutual and the Rural Youth Trust and are aimed at changing attitudes to driving. This course is one of seven that Brake is running for YFC members and NFYFC has chosen locations in each Area of the national Federation to give all members opportunity to take part. The campaign also includes practical driving sessions with a company called Drive Doctors and places on these courses have also been subsidised by NFU Mutual. Find out how you can book on a Brake 2young2die course or a Drive Doctors driving course. Youthwork Officer Jodie Green will begin her maternity leave this Friday but her replacement is no stranger to Young Farmers. Cath Sykes, a former Gloucestershire FYFC member, started as NFYFC’s Youthwork Officer in 2003 but left the organisation in 2011 to concentrate on being a full time mum. 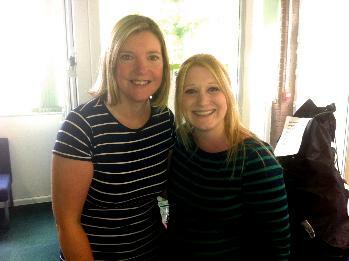 Four years ago, Jodie covered for Cath while she was on maternity leave and then stayed with the Federation. Cath has worked in youthwork since she left university in 1997 and while previously at NFYFC she helped to develop The Source for clubs as well as implement the Safeguarding Policy and other guidelines that protect members.